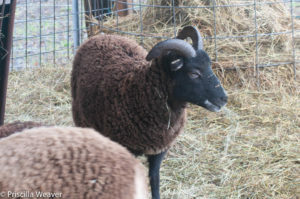 Over a decade ago I posted about the pros and cons of castrating some of your Soay rams: in a nutshell, no worries about accidental breeding, more mellow fellows in the fields, more flexibility in butchering, and having a companion for non-breeding rams left behind or injured rams or ewes, versus losing the statuesque horns of the intact rams. 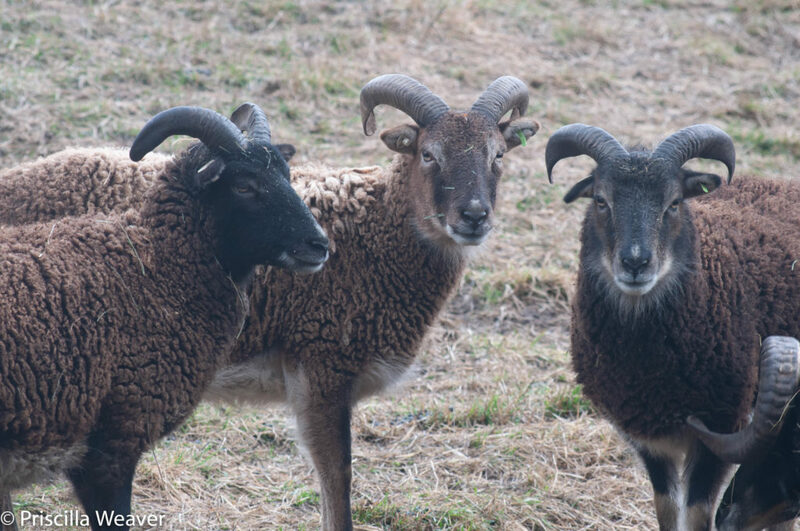 are to state more emphatically that having a small flock of Soay wethers is a great way to ease into shepherding, and at least with the authentic RBST/British Soay, the wethers’ horns are still handsome and a lot more impressive than the commercial rams’ stubs. Don’t get me wrong. 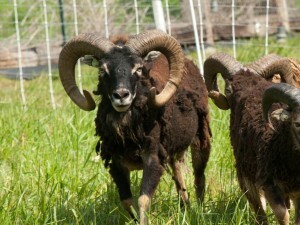 I’m obviously a big fan of breeding Soay sheep and have happily welcomed over 700 Soay lambs to our farm. 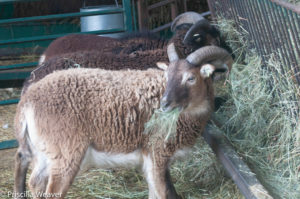 For anyone pretty sure they eventually want to breed, we still recommend starting with a few ewes and then adding two rams and a companion wether when you are ready to start breeding. 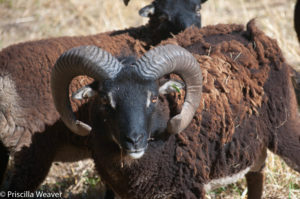 You can go four years with the two rams before you need to give any thought to replacing or adding a ram for diversity. Want to know how? Contact me by email or phone. Economical yes, but wethers still love hay. Using an all-wether flock to learn about shepherding before you plunge into breeding and lambing issues has one big advantage over starting with ewes: economy. British breeding ewes sell for several hundred dollars each, whereas depending on demand in your area, you can pick up wethers for $100 or less. and they’ll never compare to our current horns champion, Sanford. But on balance, there’s a lot to be said for the mellow wethers. We are fairly certain this trio will do a respectable job of teaching the new owners about the care, feeding, and joys of heritage sheep. We are even more confident their border collie will be thrilled to finally have work! Carleton, Wellow, and Howell will make a nice starter flock, don’t you think?